Designing Thriving Systems is about the conception, construction, and evaluation of human-made objects, artefacts. The practice of design in the computing arena has traditionally followed the lead of its ancestral disciplines in the natural sciences founded on the premise of technical rationality. But, technical rationality presupposes that decisions (design decisions) result from a calculation of objective variables, facts. And indeed, if mathematics is the domain, then 4 may be the “correct” solution to “? = 2 + 2.” But, much of design rests upon the evaluation of quality rather than some quantity as design actions are chosen from among alternative design options. The evaluation of quality is often more subjective than objective. This aspect of design behavior defies calculation and distinguishes design from problem-solving. 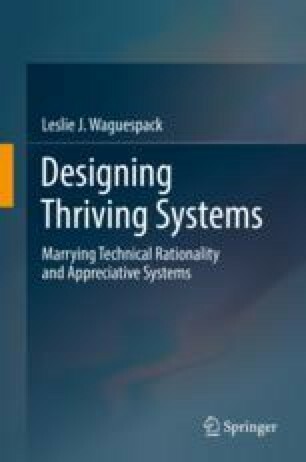 This chapter explores the nature of artefact quality and the interplay of objective and subjective quality in designing thriving systems.